A very sculptural and rather rare zig zag chair by celebrated Mexican designer and woodworker Don Shoemaker, model no F52. 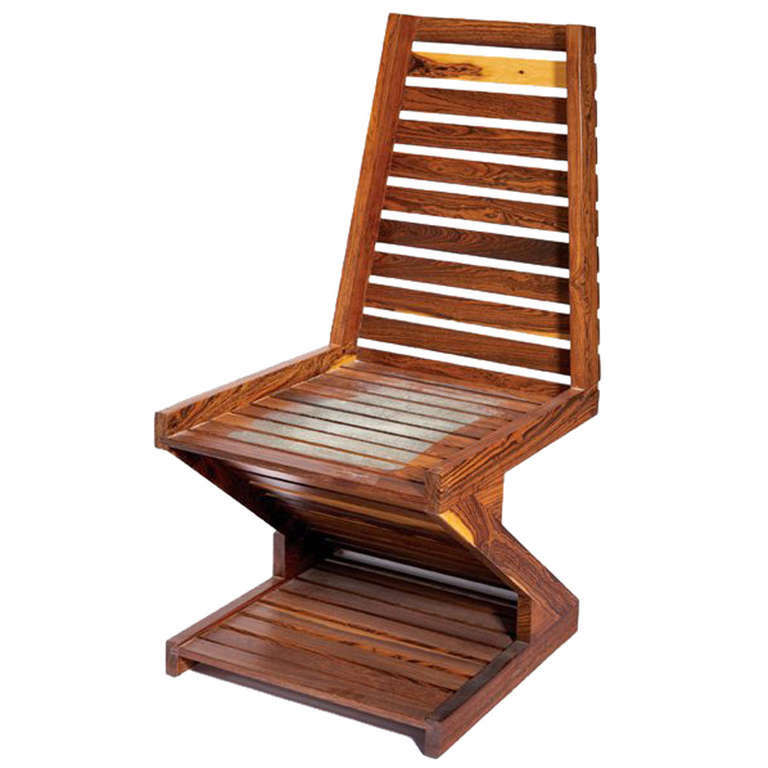 Designed in 1970s and executed in 1981, the chair is constructed with patchwork of exotic Cocobolo wood, a tropical hardwood from central America known for its expressive grains and attractive colors. The cushions have been replaced with new foam and purple mohair upholstery (images available upon request).rnEn suit there is also a matching desk with drawers model F46. Retain original paper sticker underneath.